UM Libraries Digital Exhibits | Digitized Materials · Cleared to Land: The Records of the Pan American World Airways, Inc. Thanks to a second grant awarded in 2016 by the National Historical Publications and Records Commission (NHPRC), the library has been able to digitize the Printed Materials Series. This series is comprised of 60 boxes of materials which contain brochures, directories, annual reports, timetables, and periodicals. The new digital collection is full-text searchable and publicly available. 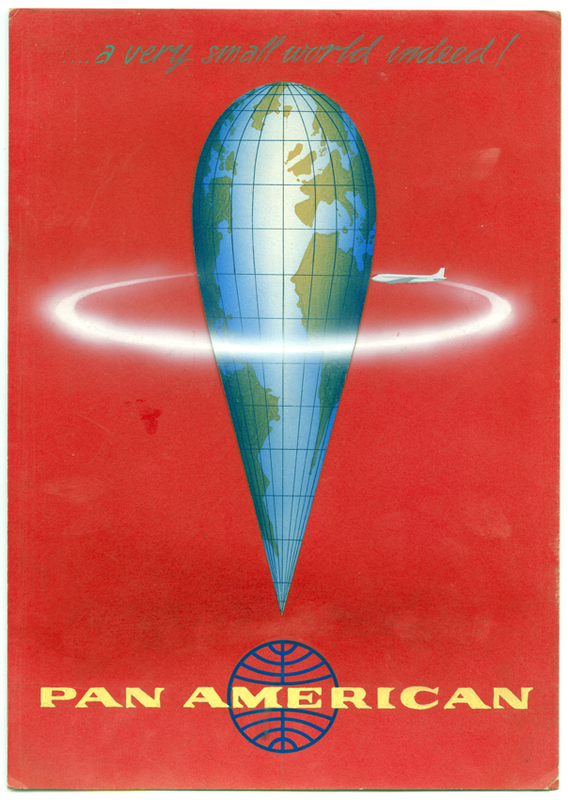 Pan American World Airways, Inc. published many periodicals, including employee newsletters, which it called “internal organs,” as well as travel guides and in-flight magazines. Listed below are the more than one hundred periodical titles found in the Pan Am records. Many of these titles are located in the Printed Matrials Series and may be accessed digitally by clicking the links below. To physically view a periodical please submit a request via Aeon, the online user request management system for Special Collections and UM Libraries. All Special Collections materials are for room use only. Located on the 8th floor of the Otto G. Richter Library, Special Collections is open for research Monday through Friday from 9 a.m. to 4 p.m.
- Pan American Athletic & Social Club Inc.